Christopher Biggins & Barbara Windsor were the judges at the first ever West End Bake Off held on 23rd May at St Anne’s Church Courtyard, London. Baker-partakers included, Charlie And The Chocolate Factory, Les Misérables, Wicked, Beautiful –The Carole King Musical, Billy Elliot The Musical, The Book Of Mormon, Mamma Mia!, The Mousetrap, The Phantom Of The Opera, The Railway Children and War Horse. 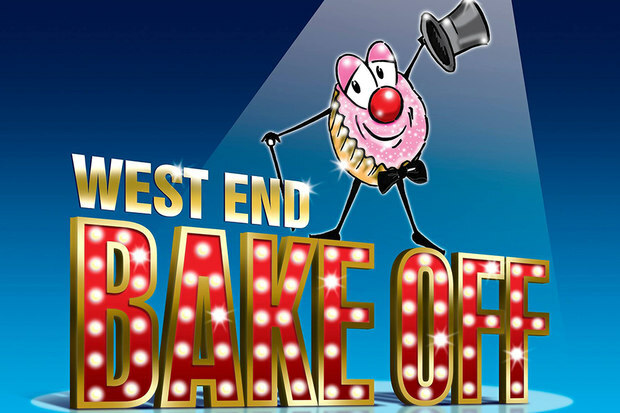 All funds raised at the Bake Off, which is supported by The Mackintosh Foundation, will go towards Acting For Others, the umbrella organisation representing 15 UK theatrical charities that offer emotional and financial support to members of the entertainment industry who have fallen on hard times. Monday Matters are big flans of bake off’s and felt the knead to send along their rising reporter Bonnie Britain to see how much dough had been raised and get a slice of the action.